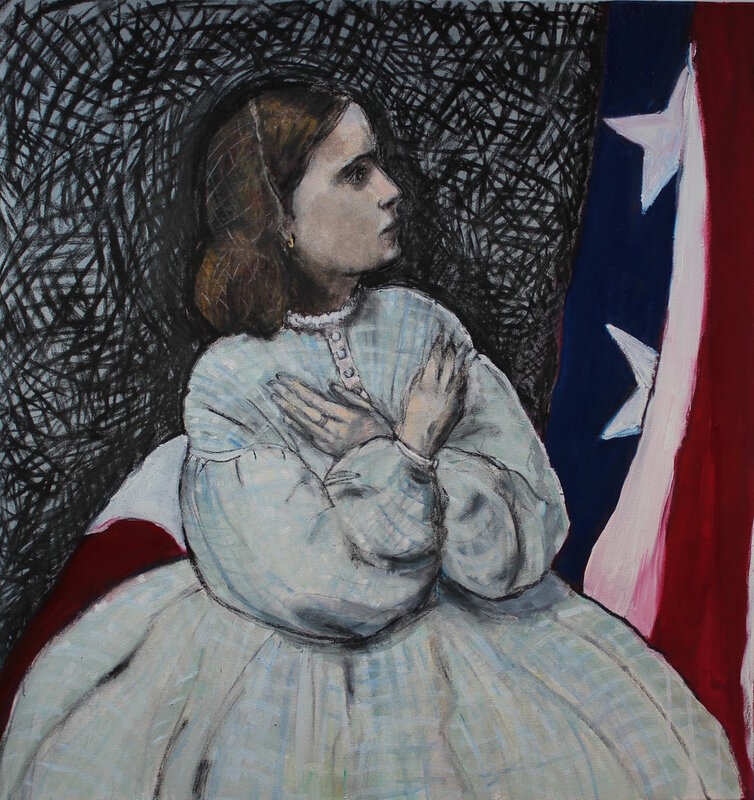 This series of work is inspired by photographs of women and girls during the time of the American Civil War which resulted in the displacement of so many peoples, looking for an identity and role in a tumultuous society. I came across images of immigrants, emancipated slave girls, southern slave owners, and Native American sisters among the many sources I found of people who were trying to make sense of life in the melting pot that is called America. Looking at these images can be harrowing at times but, at the same time, profoundly moving and illuminating as well as they offer an insight into a period of great crisis, the reverberations of which are still being felt in America and, indeed, the world today.